If you’re shopping for holiday gifts for the food-obsessed readers in your life, then look no further. Despite the frantic pace of life around the holidays, winter’s short days and cold weather bring a perfect time to both reflect on the past year, and to settle in for some serious reading. 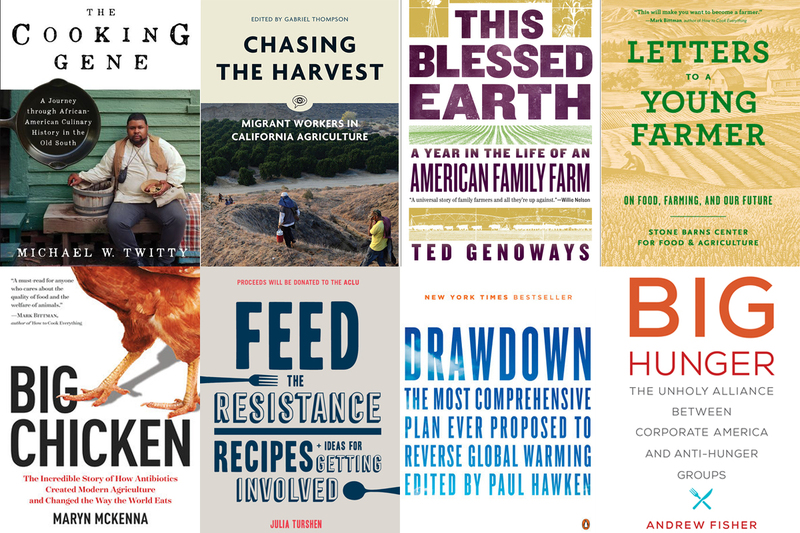 Whether you’re starting your holiday shopping or looking for your next favorite book, we’ve selected some of Civil Eats’ best book coverage from the past year, asked our contributors to weigh in on the books they have most enjoyed, and included some additional new and noteworthy books for your consideration. Since the 1980s, an entire industry has arisen around providing food to the needy, while chronic hunger has persisted and even increased across the U.S. Andy Fisher’s book makes a critically important argument, one that anti-hunger advocates often miss: Hunger is not an isolated problem, but the product of much larger economic inequality driven by low wages. And because anti-hunger organizations often rely on corporation donations to remain afloat, they fail to hold businesses accountable for offshoring jobs, cutting benefits, exploiting workers and rural communities, and resisting wage increases. 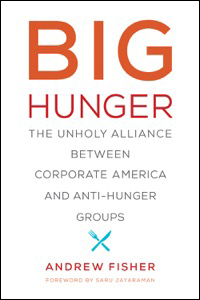 Fisher offers a critical look at the business of hunger and offers a new vision for the anti-hunger movement. Ted Genoways wants to challenge your thinking about the people growing your food. Counter to popular wisdom, not all farmers are either 1) selling organic tomatoes at your local farmers’ market or 2) running massive corporate operations. In his latest book, Genoways chronicles a year in the life of the Hammond family in eastern Nebraska as they grow conventional corn and soy and raise cattle. 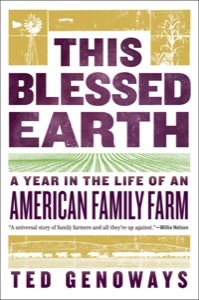 This artful and moving book details the challenges and hardships facing family farms, while also illustrating the drive and motivation needed to sustain a farm for the next generation. 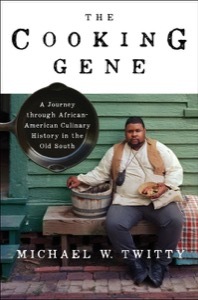 While the Hammonds may not be your typical 2017 farm heroes, by profiling a third type of American farmer, Genoways helps readers to understand life on the farm and bridge our rural-urban divide. The latest book from the veteran author, entrepreneur, and climate activist illuminates 100 of the most effective of climate solutions—and points to food and agriculture as hugely important when it comes to both sequestering current greenhouse gases and releasing fewer of them in the first place. 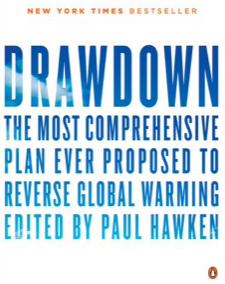 From composting and clean cookstoves to managed grazing and multistrata agroforestry, Drawdown makes a compelling case for radically changing the way we eat, farm, and tend to the land. Whether you’re anti-meat, pro-sustainable meat, or a fan of everything at the meat counter, meat could be the most contentious topic in food today. It’s also a topic that’s coming under greater scrutiny from shoppers, meat producers, and policymakers. 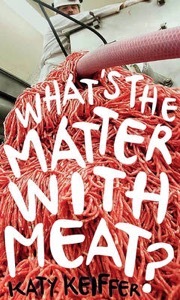 In “What’s the Matter with Meat,” Kieffer takes readers on a ride through today’s meat industry. 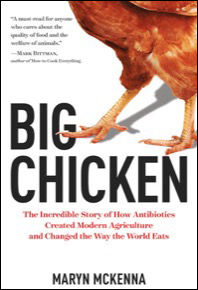 The book shines a light on the hard-to-dispute reasons that our current model of meat production is a disaster. It also explores how our collective desire to purchase a hamburger for pennies leads to the countless negative consequences of a system that undervalues meat, including environmental degradation, land grabs, food safety issues, disease, violations of animal welfare and workers’ rights, corporate monopolies, and food fraud. It’s a concise but powerful book that couldn’t have come at a better time. Part guidebook, storybook, and instruction manual, with a few verses thrown in between, Lombard has created a guide for anyone who’s curious about aquatic life in Northern California—and Lombard wants you to know that there’s much more out there than what meets the eye. He has been a champion of obscure and offbeat information about the Bay Area’s lesser-known sea life since the 1990s, and this unconventional volume, vividly illustrated by artist Leighton Kelly, dispenses Lombard’s hard-earned tips and techniques on how to find and harvest your own fish, shellfish, and seaweed. 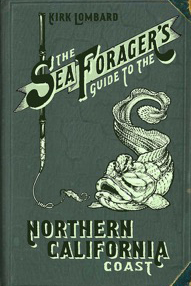 In other words: How to become a sea forager like him. Antibiotics changed the course of human history by allowing more people to survive basic infections and minor injuries—and yet, as author and journalist Maryn McKenna details in her new book, we’re on the verge of setting back the clock on this crucial technology through routine antibiotics overuse. The case of chicken’s shift from a local delicacy to an everyday protein source sheds light on both the history and the future of how we eat. 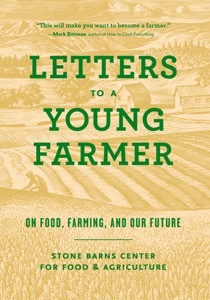 This collection of letters from three dozen of the most respected figures in agriculture today—farmers, chefs, writers, philosophers, and activists including Joel Salatin, Temple Grandin, Wendell Berry, Karen Washington, and many others—draws on their collective wisdom to answer a single question: “What would you say to young people just starting out to farm?” The answers are equal parts educational and informative and offer wise reflections on how to grow healthy food in ways that treat land, animals, and people with respect. The people who grow, harvest, and produce the food we eat every day are often invisible—and as a result they are vulnerable to all kinds of abuse. 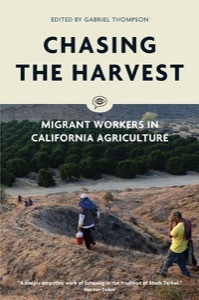 In his latest book, Gabriel Thompson shares the oral histories of 17 farmworkers, who, in their own words, provide a “birth-to-now” narrative explaining how they got to the U.S. and what their lives have been like ever since. Each oral history provides an intimate portrait on its own, but taken as a whole these stories underscore the importance of exposing the day-to-day struggles of life in the fields. After last year’s presidential election, cookbook author and self-described “gay, rural, Jewish American” Julia Turshen found herself frightened and dismayed—and wanting to get involved in resisting the Trump administration. She started with what she does best: She wrote a book. 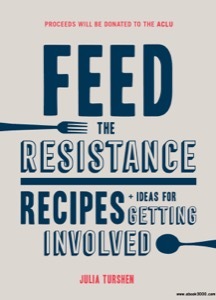 But “Feed the Resistance” is no traditional cookbook; instead, it’s a collection of multicultural recipes from a diverse array of chefs, cleverly grouped into three categories—Easy Meals for Folks Who Are Too Busy Resisting to Cook, Basic Goods + Portable Snacks, and Feeding the Masses: Food For Crowds. It’s a compelling handbook for feeding the masses and fighting the power at the same time. In his latest book, author Langdon Cook scours salmon country like a food-loving naturalist on a mission. He swims with a biologist in the barren Yuma River in California, attends a Native American First Salmon ceremony on the Columbia River and fishes with reef-netters near the Canadian border while tracking salmon species’ migrations and survival. 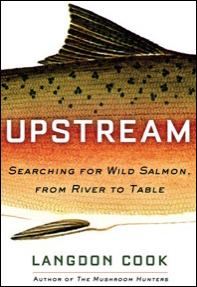 Cook writes lyrically yet concretely about the human impacts on wild salmonids and their habitat that matter to eaters everywhere. 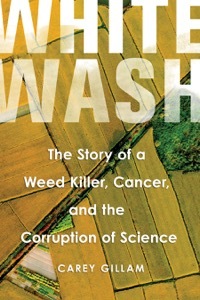 The weed-killing chemical glyphosate—better known as Roundup—is the main character in Carey Gillam’s book, but do not for a second let that deter you from picking it up, as it reads like a journalistic thriller. Gillam, who spent years reporting on agriculture for Reuters and other news outlets before becoming research director at the advocacy group U.S. Right to Know, gives us glyphosate’s origin story: How and why it was developed, Monsanto’s global distribution of the herbicide that turned Roundup into a household name, and the company’s ongoing efforts to control the news and research around its controversial chemical. Gillam draws on reams of internal emails and court documents she has uncovered through the years to show how Monsanto funds academic research that reflects its products favorably and attacks the work of academics and journalists—including herself—who question the company’s practices and products. I wrote about Ben Hartman’s adaptation of Toyota’s lean manufacturing techniques into agriculture last year for Civil Eats after Hartman’s book “The Lean Farm” came out. This year, Hartman has followed up with a detailed guide to producing vegetables utilizing lean tools that shows how to significantly increase efficiency and reduce waste in seed starting, compost production, transplanting, and more. 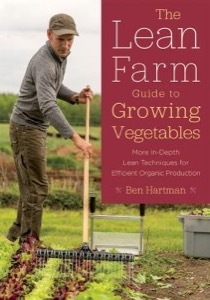 Hartman’s book series teaches farmers of all ages how to grow more food on less land with less labor—essential reading for small-scale growers. 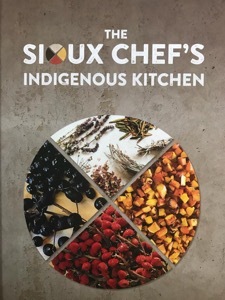 Sean Sherman, co-author of this new cookbook and co-founder of The Sioux Chef, explains why original North American foods and Native foodways are vital to creating a healthy and sustainable future. As Sherman sees it, the original American cuisine arose from the vibrant and diverse indigenous cultures that thrived across the North American continent for thousands of years before colonization. And the impact of the colonial diet on natives of the Americas cannot be denied, including obesity, heart disease, Type 2 diabetes, and tooth decay. Sherman’s recipe for a healthier tomorrow includes strengthening indigenous cultures and reigniting their teachings to build a better world. This book holds much wisdom to listen to and learn from. Edited by Julian Agyeman, Caitlin Matthews, and Hannah Sobel. By Ellen Rosenbush and Giulia Melucci, editors. By Rachel Salatin and Joel Salatin. Edited by Steve Ventura and Martin Bailkey.